The most effective treatment available! One exterior treatment stops insects and webs all summer! Bugmeisters is a locally owned and family owned company, with over ten years experience in pest control. We provide our customers with a professional and low cost service while using the best products and application available! Our customers are extremely pleased with our results. If you are a lakeshore owner, or near water, you will be especially pleased to be free of spider webs and insect droppings during the summer. We have many personal testimonies of satisfaction. Our single, exterior, "Seal-All" application is the best treatment available anywhere and it's what makes us so effective! It seals your entire home or building, penetrating every crack in the exterior, from the top to bottom, for the entire summer. And it's much lower cost and more effective than multiple treatment, expensive, year round contracts offered by traditional pest control companies. Also, because the treatment is exterior, unless you request it, you don't even need an appointment or take time off work! Our spring treatment remains effective through the summer months eliminating unwanted insects. Our product is odorless and non-staining. 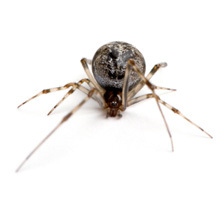 The initial service includes the removal of spider webs. The treatment then keeps webs from building up again, keeping your home or building web-free during the summer without the time and cost of cleaning. Our lake property customers are extremely pleased with this aspect. 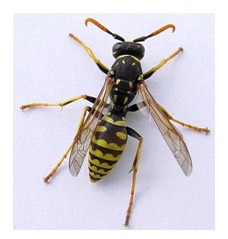 The fall treatment eliminates Asian lady beetles, box elders, wasps, black cluster flies, and other insects and prevents them from coming inside and from hibernating in your walls - which means you won't have them in the fall, winter or spring! This is also a single exterior treatment. Although rarely needed, the initial service can also include a one time inside treatment to eliminate a major problem with insects already inside. The exterior treatment would then eliminate any need for future inside treatments. With either the spring or fall treatment, you will, as all of our customers do, see terrific results - we guarantee it! If at all possible, please contact us BEFORE spring or BEFORE fall as we are extremely busy then. Also, we are always happy to answer your questions.